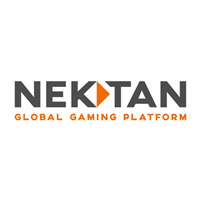 Nektan plc (LON: NKTN), the fast growing, award-winning international gaming technology platform and services provider, today announced a trading update for the third quarter of its financial year ending 30 June 2019 (Q3 FY19). “Q3 has been another record quarter of growth for our rapidly emerging B2B business. We continue to see strong demand for our award-winning casino technology as evidenced by the signing of 7 significant B2B partners during Q3 FY19. Having achieved EBITDA break-even in H1 of this financial year, a key achievement for Nektan, we remain on track to be break-even in FY19. As reported in our interim results announcement on 25 March 2019, whilst the headlines revenue figures are slightly down on Q2, our growing portfolio of partners means that we do not expect a repeat of what was a quiet period by historical standards. During the quarter, overall revenue rose 5.9% on the same period a year ago (Q3 FY18). The B2B division reported record growth and revenues, while B2C experienced a decline in KPIs as announced in the Company’s unaudited interim results released on 25 March 2019, due to a number of factors impacting FTDs and deposits, including seasonality, increased UK regulation around player marketing and verifications and a delay in the granting of the Company’s Swedish operator licence. The Board expects trading to improve in the next quarter (Q4 FY19). The figures stated below are all unaudited. · Global sales pipeline of future B2B and B2C partners remains strong. · Growth trajectory remains on track and having reported European EBITDA break-even in H1 FY19, this is forecast to continue in H2 FY19, with break-even expected for FY19 (30 June 2019). · B2B – revenue increased 75.0% to £0.35m in Q3 FY19, up from £0.2m in Q2 FY19 (up 322% on Q3 FY18). · B2B – 10 partners currently live and further distribution deals signed with 7 new partners, including the recently announced Bede. All due to go live in Q4 FY19. · B2B – E-Lite platform and content distribution deal signed with Addison Global’s MoPlay. · B2B – benefitting from its speed of integration and breadth of premium gaming content. · B2C – network now with a total of 152 white label casino sites live, with 10 new partner contracts signed in the period. · B2C – trading is expected to improve in Q4 FY19 due to the continued growth and breadth of the Company’s casino network. · Games content is increasing across both B2C and B2B with the total number of available games increased to 834 (750 in Q2 FY19, an increase of 11%), from a total of 38 games providers (27 in Q2 FY19, an increase of 41%). · Content aggregation deals signed with leading studios Leander and Rock Salt. 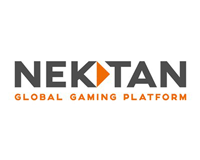 · Nektan’s US subsidiary, Respin LLC (Respin), soft launched its Class II and Class III mobile ‘On Premise’ product with a major tier-one casino group at one of its properties in California. · Signed a new contract with one of the largest casinos in Palm Springs, California. · The proposed sale of the majority shareholding of Nektan’s US subsidiary, Respin, is being finalised and the Company expects to enter into a binding contract for the sale shortly, but in any event no later than 30 April 2019.